Cosmetology comes from the Greek word “kosmetikos”, meaning “beautifying”. The term cosmetology refers to the study of beauty treatments. At cosmetology school, also known as beauty school, you can learn both the science behind beauty treatments and how to carry out these treatments successfully on other people. The way you learn in cosmetology school is varied. Cosmetology schools teach you using a combination of in-class lectures and textbooks, just like in academic schools. However, since cosmetology is a craft, you also participate in a large amount of hands-on practice in cosmetology school. Up to thousands of hours of hands-on learning is needed to gain the skills and expertise. Cosmetology school will also teach you about safety and sanitation in cosmetology practice. Many cosmetology treatments involve potentially dangerous chemicals that you must learn to handle properly. Since as a cosmetologist you will come into physical contact with your clients, you must learn how to prevent the spread of infection and disease. Many readers are interested in learning exactly how long it will take them to graduate a cosmetology program. Unfortunately, there is no simple answer to this question. In the US, cosmetology training hour requirements can vary greatly from state to state, as each state has its own independent cosmetology licensing board. The exact type of cosmetology program also makes a difference. A full cosmetology program that covers all the basics can take anywhere from 1,000 to 2,100 training hours to complete. There are also smaller cosmetology programs that focus on just one type of cosmetology practice. Makeup artistry and nail technology programs can take 300 to 600 training hours. 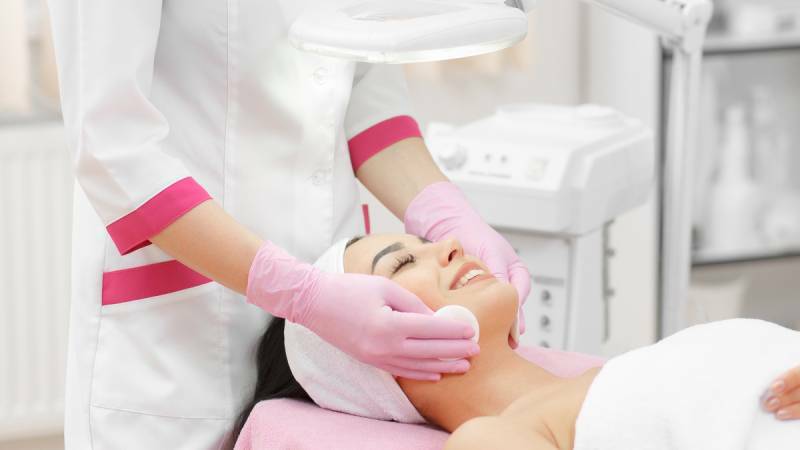 Programs for electric hair removal take around 500 hours. If you study esthetics, the specialization of cosmetology that deals with skincare, it will take you anywhere between 300 to 1,500 training hours. Many cosmetology programs can be attended full-time or part-time. Naturally, if you go to cosmetology school part-time, it will take you longer to complete the program. The only way to be sure of how long it will take to complete cosmetology school is by contacting the school you’re planning to attend for more information. It’s also difficult to predict the costs of a cosmetology program. Prices can vary from state to state, and even city to city. Cosmetology schools in larger cities are likely to cost more than those in smaller cities. The full price of cosmetology school will not only include tuition but also supplies, textbooks, and assorted fees. Merely finishing cosmetology school is not enough to become a practicing cosmetologist. You must also pass an official board exam afterward. If you do well in cosmetology school, you will be prepared for the exam. There are quite a wide variety of jobs under the umbrella of cosmetology. Most people who go to cosmetology school specialize in one skill, or a cluster of skills that go well together. Consider the difference in skills between a cosmetologist who works in a hot springs health spa, one who works in a manicure salon, one who works in a hair salon, and one who works on movie sets. Relaxation specialist, providing services in massage, aromatherapy, reflexology, etc. According to the U.S. Bureau of Labor Statistics, general cosmetologists earn $23,710 per year on average. Nearly half are self-employed. Cosmetologists can work in a variety of settings, including barber shops, salons, spas, hotels, and resorts. It is not possible to complete the entirety of your cosmetology training online. After all, you need lots of hands-on practice. All of the US states require most or all of your training hours to occur in a real classroom. However, you may be able to receive part of your cosmetology education online. There is not much selection, but there are some beauty schools that offer the non-hands-on portions of the program in an online format. More practical than a fully-online cosmetology program online, there are also courses and degrees that you can receive completely online that are not a cosmetology program, but are related to the profession. For example, you can get a degree in salon management completely online, which does not qualify you to perform the beauty treatments in a salon but rather to run the business and supervise the cosmetologists. In some states, you’re required to take continuing education classes to renew your license, as your cosmetology license will expire after a set amount of time. It’s possible to take these types of classes online. How much is tuition, and are books and supplies included in the cost? Are there any options for scholarships or financial aid? What are the graduation and job placement rates? How long will my program of choice take? Does the school offer job placement assistance for graduates? Can I schedule a tour of the school?